With your qualifying purchase, we’ll give you the gift that keeps on giving! 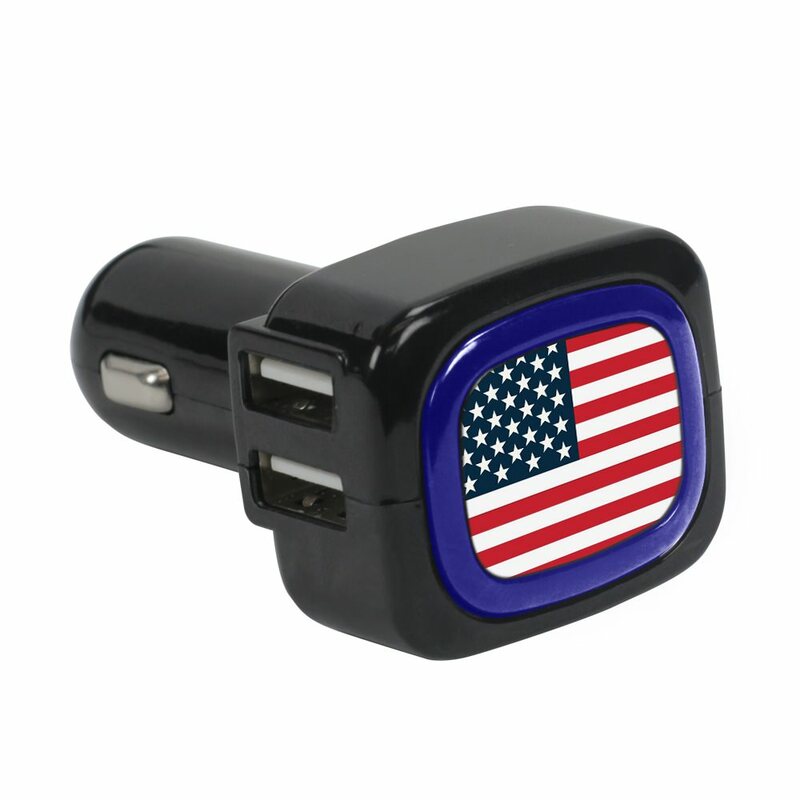 We’re happy to offer you this free black USA light up 4-port car charger. It features 4 USB ports that can charge up to four different devices all at once! A cool light up ring glows when plugged in, framing the American flag beautifully printed on the imprint area of this charger. Compatible with USB 2.0 devices (and above), you’re sure to love this freebie gift item! It’s our gift to you!